Designed with mid-sized enterprises and the various needs of campus environments in mind, the NX 7500 can manage up to 2,048 network elements through a single pane of glass. 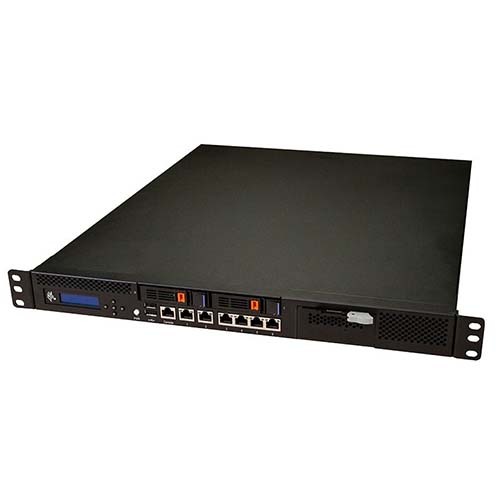 You have flexibility to grow with the convenient option to upgrade to 20G of data plane (field upgradable 10G modules), a redundant power supply, and optional RAID-1 storage making the network easier to manage long-term. The NX 7500’s versatility means you can build a small network with room to grow. A 500GB hard drive supports both analytics and applications, while built-in support for virtualization enables you to host additional management applications– providing functionality as your needs evolve. With the NX 7500, you can create a truly integrated network management experience. The NX 7500 has a built-in solid-state drive to deliver maximum protection of your critical data. Field upgradable redundant power supply and storage units deliver a high availability platform you can trust to run large wireless networks. The NX 7500 brings the power of WiNG 5 hierarchical management architecture to view your entire WLAN through a single graphical user interface – provision, monitor, and troubleshoot all your branch-level controllers or standalone access points.